Featuring two stage grind technology and quiet technology, the Evolution 100 is more powerful and quieter than our standard range . It can grind virtually any food waste, including difficult items such as larger bones. 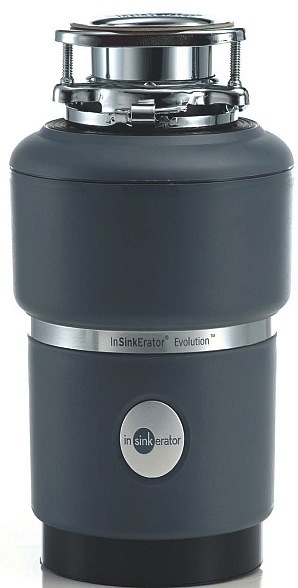 Food waste disposer(s) shall be InSinkErator® Model Evolution 100 with 2-stage grind and quiet technologies, .75 hp (110-120V) or .70 hp (220-240V) motor, auto-reverse grind system, stainless steel grind chamber, grinding elements and built-in air switch with chrome and brushed steel options. Warranty: 5 year parts and service.